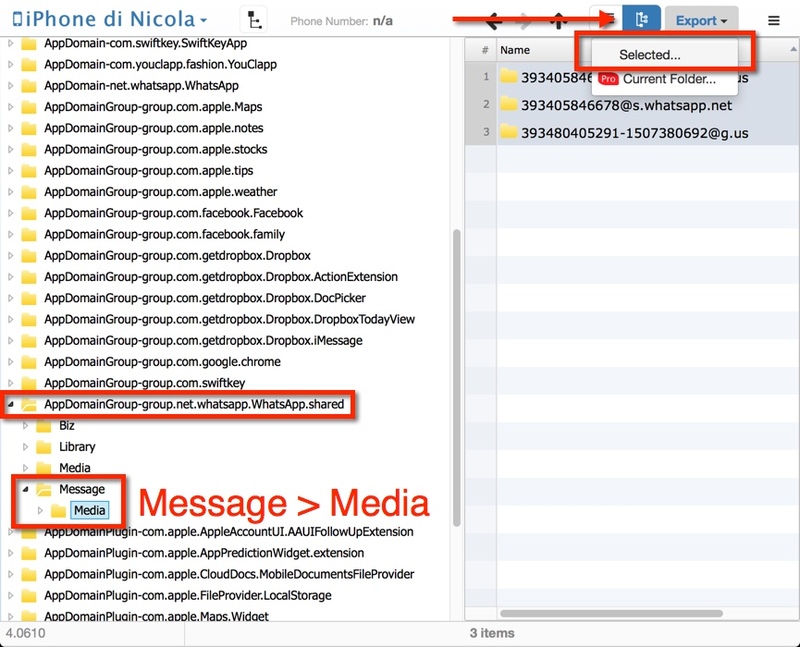 WazzapMigrator is able to migrate WhatsApp media in addition to the messages: pictures, videos, contacts, GPS positions, voice notes. 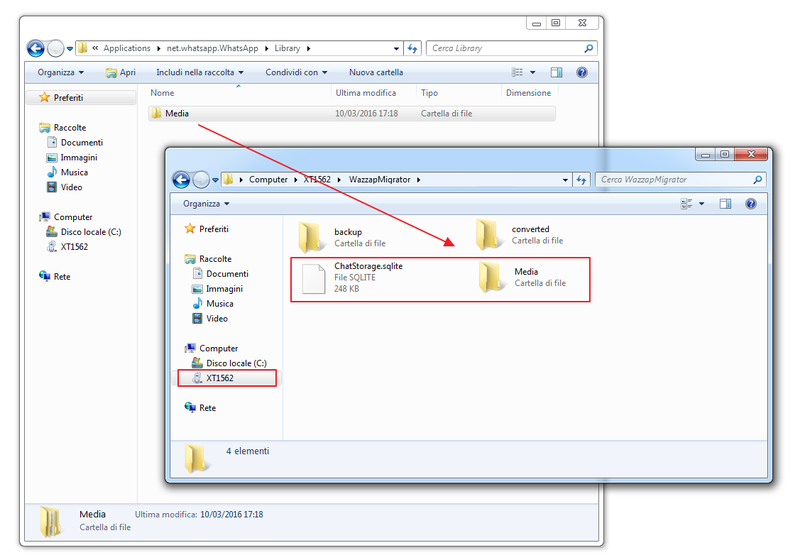 You need to copy from iPhone the Media folder as below, the same way you already copied over the ChatStorage.sqlite (Windows or Mac instructions). You need to put it into the WazzapMigrator folder on your Android device. You can copy it from your PC to Android (with Android File Transfer for Mac or Kies for PC/Mac) or transfer by any other way (Dropbox, Google Drive, etc). Also make sure that each subfolders inside the Media folder has a "@" in it, as some itunes backup extractors replace "@" with "_" (underscore). Please note that if you already migrated your messages you need to perform a brand new migration as Whatsapp needs to be made aware of the new media that will be embedded in your imported conversation.